I have sensitivities to chemical scents and I try to avoid them at all costs. As these chemical scents can put my body into a coughing fit and make me feel sick. The toxic chemical scents can also trigger an asthma attack so I avoid them. I am that person who goes into the laundry aisle and quickly grabs a bottle of detergent that is scented with essential oils before I start coughing. I also avoid the gym when they are cleaning as I know which days the cleaning people come. I am glad that I can control the chemicals in my house. I just wish I had controlled the toxic chemical products a lot sooner. Maybe I would not be this sensitive to scents. It was two years ago when the chemical scents started the asthma attacks so since then, I have been changing out all my cleaning products to naturally scented ones or just not using them. The one product that my husband wishes I bought is air freshener as he hates a smelly bathroom. So he has resorted to lighting a match after he uses the bathroom. My husband was glad that I discovered a Natural Mist Room Spray so he no longer has to light a match after someone uses the bathroom. So now we can use aromatherapy in our bathroom to keep it fresh smelling. 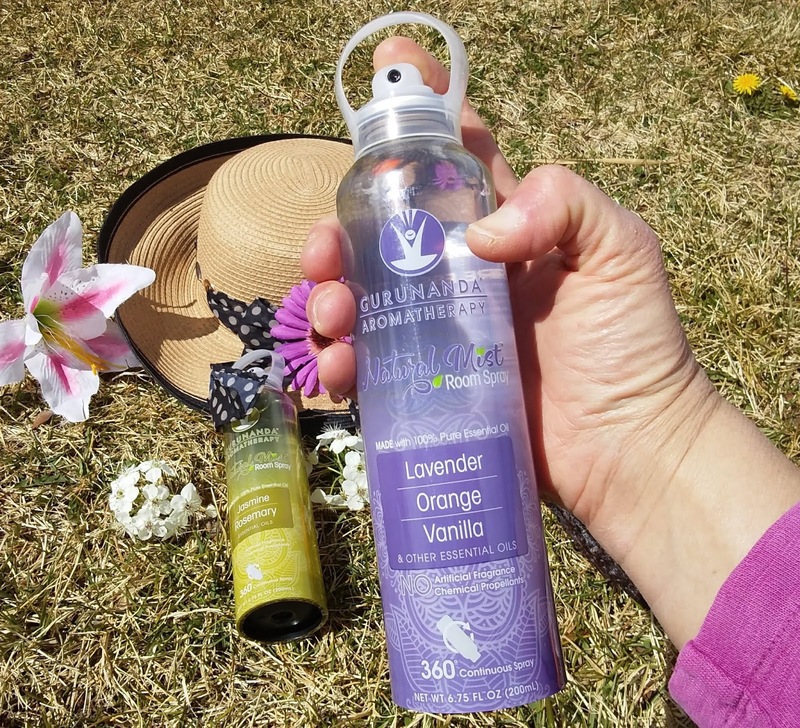 The best part of these natural sprays from GuruNanda are they are made with 100% plant-based natural essential oils. They also have amazing scents that don't leave me coughing. I love how they spray into the air and leave a natural mist of scent. They are great for those bathroom odors! 360° Functionality: Easily spray your Natural Mist Air Spray continuously even when you turn it upside down! Most people don't realize that those commercial spray cans of air fresheners are loaded with chemical fragrances that are far from natural. A company doesn't even have to disclose what synthetic scent chemicals are in their secret recipe for their fragrance. Many fragrances are full of phthalates and petrochemicals and some are even derived from animals. That seems scary to me and my lifetime exposure to chemical fragrances could be one of the reasons I have sensitivities now. So I am happy that there are products made with essential oils so I can still enjoy scents. 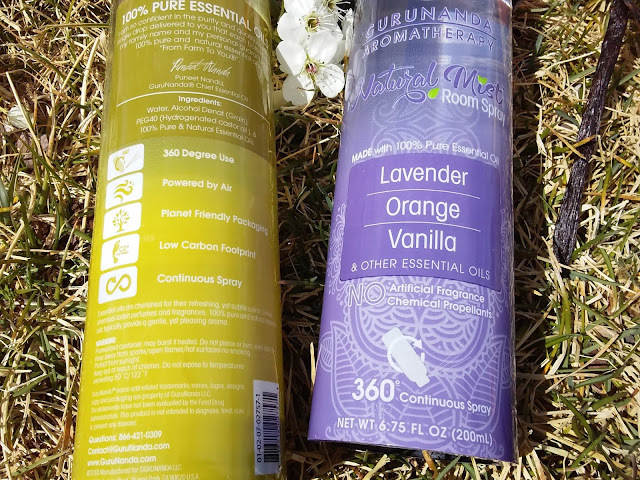 These natural room sprays offer immediate aromatherapy benefits with a low carbon footprint as even the packaging is planet-friendly. They come in four exotic blends (Lavender Orange Vanilla, Jasmine Rosemary, Lemongrass Lime Basil, and Spearmint Patchouli Cedarwood). My favorite is Jasmine Rosemary for the bathroom and kitchen. I love using the Lavender Orange Vanilla spray in my bedroom before I go to bed. This scent is so relaxing for me. I can take a deep breath in and be glad that it has no artificial fragrances or chemical propellants in it. The spray bottles look so fancy in my bathroom so I can keep them on top of the toilet tank so my guests can use them if needed. There is nothing worse than having to use the bathroom at someone else's house and feeling embarrassed about their potty odor. 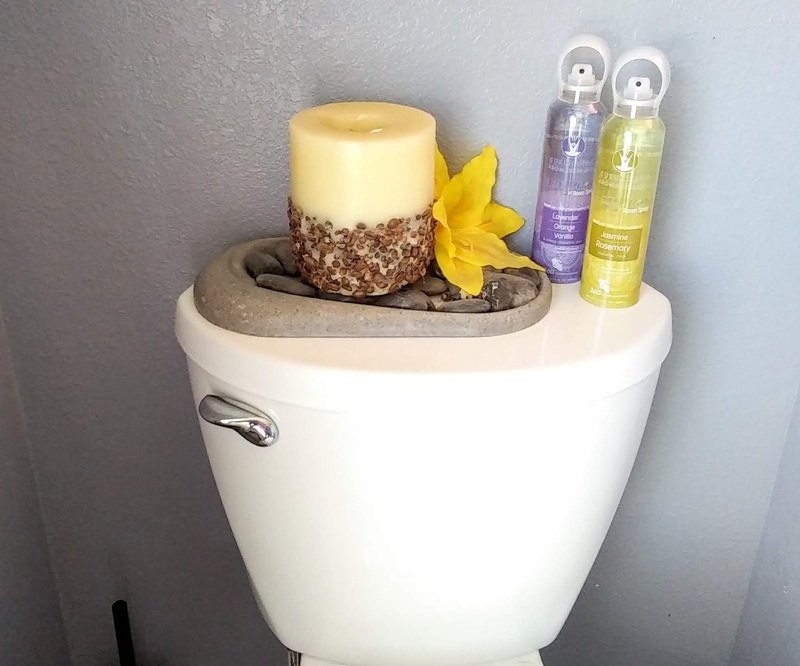 These non-toxic scents do a great job of covering up those bathroom odors. Discover more about these Natural Mist Room Sprays HERE. Oooh I would love to try those. The scents sound like they would smell really pretty. I use these household products a lot, but their non-natural appearance irritates me and causes me great headaches. I will try them. Ohh now these sound like some good air fresheners. I love that they are non toxic and more natural! I've stopped using a lot as they all smell artificial I'll have to try this instead. I need this as I want an odorless comfort room. Because of my pets, I'm always worried about sprays that reduce odors. I love that this is non-toxic and natural and it would make me more included to try it. I have to be super careful with the scents I use. I found a lot of the chemical ones trigger my migraines and I'm always worried about whether or not they will harm my pets. I find non-toxic sprays are the best for my migraines. I'll have to check these out! Oh wow I love air freshners. I've been actually looking for a natural one so I definitely want to check out the Lavendar. Thanks for the recommendation. I really like this product. I hate spraying nasty, harmful chemicals around the house. Thanks for sharing these! I love the smell of air freshener, but they make me sneeze, and I worry about the toxins that I’m exposing my toddler too. These are worth a try! I have always been a fan of products which are organic. I want to give this a try because the risk is less. This products is worthwhile trying. It's crazy all the chemicals that are in sprays. You definitely have to be careful with what you buy. I will have to look into this brand as it looks awesome! 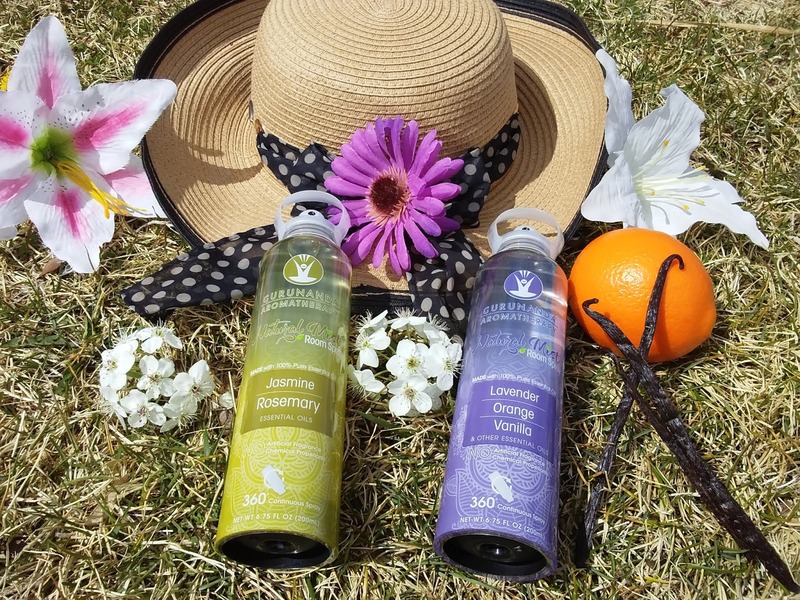 Lavender Orange Vanilla sounds like it would be my favorite! I love the look of the cans, they are pretty enough to display.